Facebook is positioning itself as a mobile-first social network, so its interest in the moves of major smartphone companies is natural. BlackBerry is a sinking ship searching desperately for a rescue, so its turning to any major mobile player as a potential savior--again, a natural move. But if Facebook buys BlackBerry, it would be the company's craziest move ever. BlackBerry executives reportedly flew to California last week to meet with Facebook and see if the social network has any interest in bailing out the struggling smartphone maker. BlackBerry in September tentatively struck a $4.7 billion deal to go private, but it's still considering third-party bids. The deadline for those bids is Monday. The appeal for Facebook is obvious--a giant smartphone maker with no debts and a still-popular messaging system needs help. According to the Wall Street Journal, Facebook might be after BlackBerry's security and smartphone patents, which are worth somewhere in the ballpark of $1 billion to $3 billion. But the social network should think twice before making an offer. BlackBerry last month laid off 4,500 employees to deal with nearly $1 billion in losses stemming from unsold inventory. Its phones, though well-reviewed, aren't flying off the shelves anymore. Something has to be done. But a Facebook bid doesn't seem likely. Aside from BlackBerry's deal to go private, Chinese PC-maker Lenovo is reportedly interested in the smartphone company, and that marriage makes a lot more sense. Facebook knows nothing about how to run a successful hardware company and would be unwise to start with a failing manufacturer like BlackBerry. Facebook CEO Mark Zuckerberg has repeatedly said that hardware isn't part of the company's mobile-first strategy. Instead of making a Facebook phone, Zuckerberg and Co. released Facebook Home, an attempt to push Facebook to the forefront of your Android device. That effort and a partnership with HTC to make a sort-of Facebook phone, the HTC First, have been largely unsuccessful. Facebook remains committed to the product with regular updates, and has added some of Home's most visually appealing features to the Facebook app for Android. Just last week, Facebook added the ability for users to connect Home to other apps like Instagram, Tumblr, Pinterest, and Flickr. Home's emphasis is less on Facebook and more on the social Web as a whole, which could make it more appealing to users. Maybe BlackBerry can be saved. In a bright spot, its popular BBM messaging service has gained 20 million new users since launching iOS and Android apps last week, with a total of 80 million monthly active users overall. Maybe the company will give up on competing with Windows Phone for third place in the consumer market and zero in on what it does best: BBM and making phones that businesses want to use. 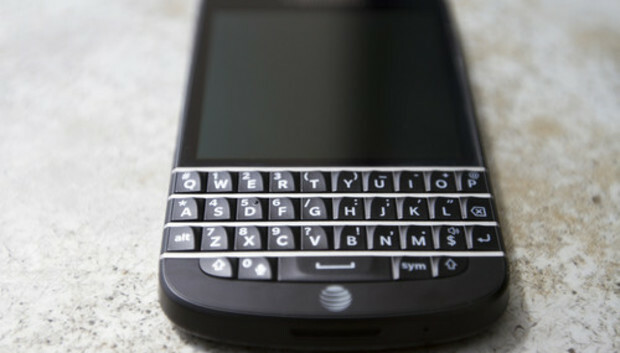 Phones with keyboards--that's what BlackBerry is known for, what it does well. But Facebook won't help BlackBerry hone its focus and make great phones. That's not what Facebook does. The social network needs to focus on growing mobile ad revenue without sacrificing the user experience--and user privacy.